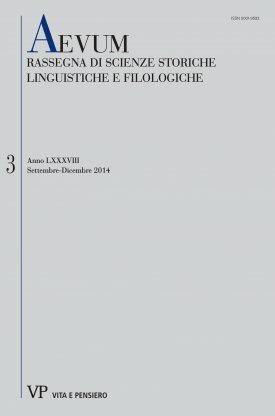 titolo Quale Iliade leggeva Ariosto? Ariosto did not know ancient Greek. However, some passages in Orlando Furioso explicitly refer to the Iliad. Hence, we have reconstructed the framework of the Latin translations of the epic poem available at the beginning of the 16th century. Furthermore, textual comparisons of Ariosto’s Orlando Furioso and Latin renditions of the Iliad are carried out in order to ascertain the exact translation adopted by the author. Although far from indisputable, results seem to converge on Lorenzo Valla’s and Francesco Griffolini’s work.